It sounds next-level paranoid, but covering your webcam with tape might not be a bad idea. Mark Zuckerberg does it. FBI Director James Comey does too. In fact, he came out today in defense of previous statements about using tape to cover his devices. “Do you still have a piece of tape over your cameras at home?”an interviewer at the Center for Strategic and International Studies conference asked FBI Director James Comey earlier today. “Heck yeah, heck yeah. And also, I get mocked for a lot of things… much mocked for that… but I hope people lock their cars […] lock your doors at night. I have an alarm system. If you have an alarm system you should use it, I use mine. It’s not crazy that the FBI Director cares about personal security as well. 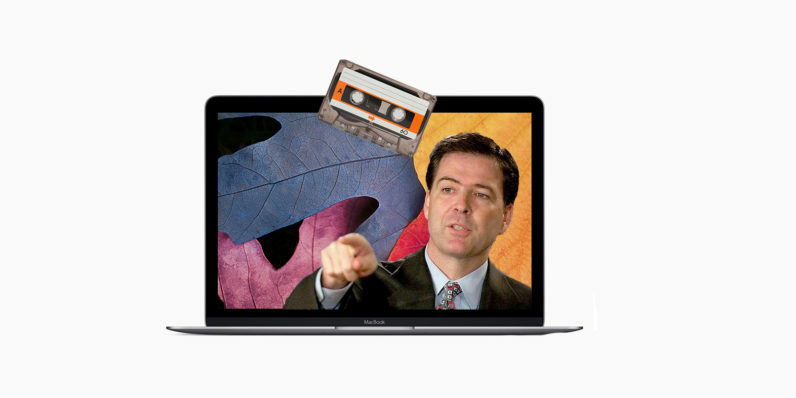 Comey went further by explaining that it was common practice at the FBI and any government office to cover webcams with physical items, like tape. The conversation centered around growing concern that the internet of things was equal parts convenient and security nightmare. Comey believes most Americans take for granted that their computer can protect them from bad actors, something most of us should know by now is far from true.